Your experience level is not essential. Start your new career and create an added revenue to your business! 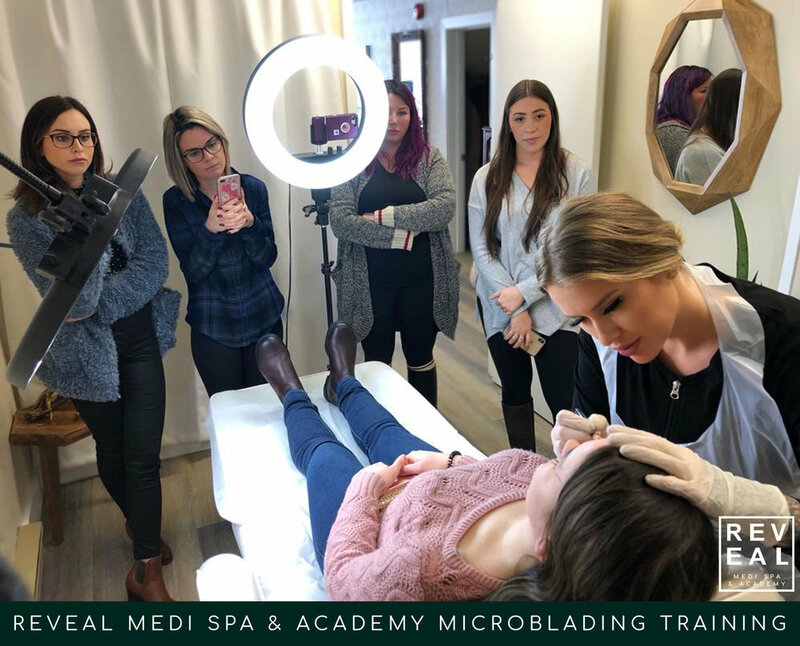 Whether you are a permanent makeup artist or complete novice you will have all the training in this course to become a certified Microblading practitioner. This course is taught and led by instructor, Alexandra Devolin the Founder and Spa-Director of Reveal Medi Spa. The classes will be a maximum of 6 students, or one-on-one classes are also available. 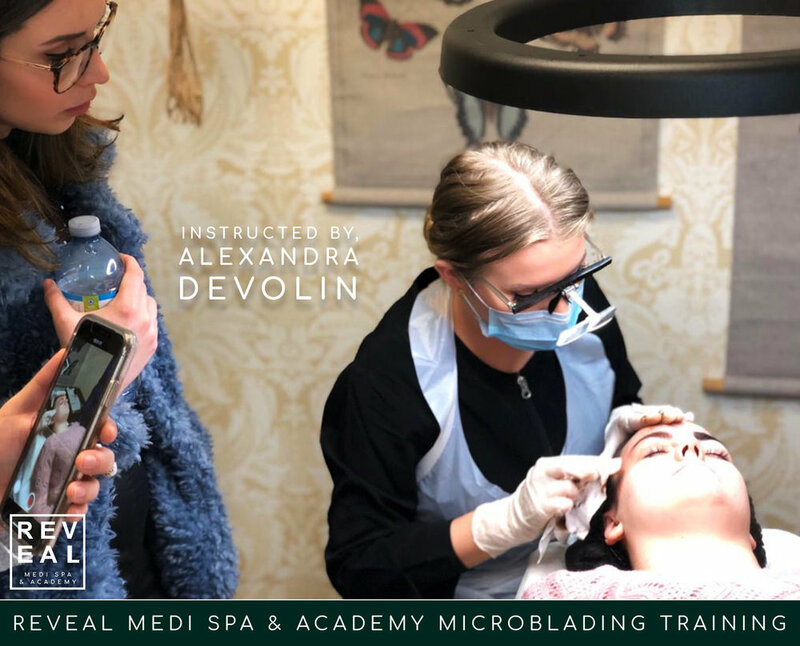 This course includes a training manual, a microblading kit which can be used on up to 20 clients, hands on practice with supervision, and on-going support. Microblading involves a handheld tool called a microblade which tattoos on individual hair strokes with an artistic technique. There is no machine that is used but the microblading artist hand draws each hair to match the colour, shape and bone structure of your eyebrows. The results are a natural looking eyebrow that lasts overnight and does not wipe off! Semi-permanent for 1-2 years. Limited spots available! Reserve yours now. Please contact us. 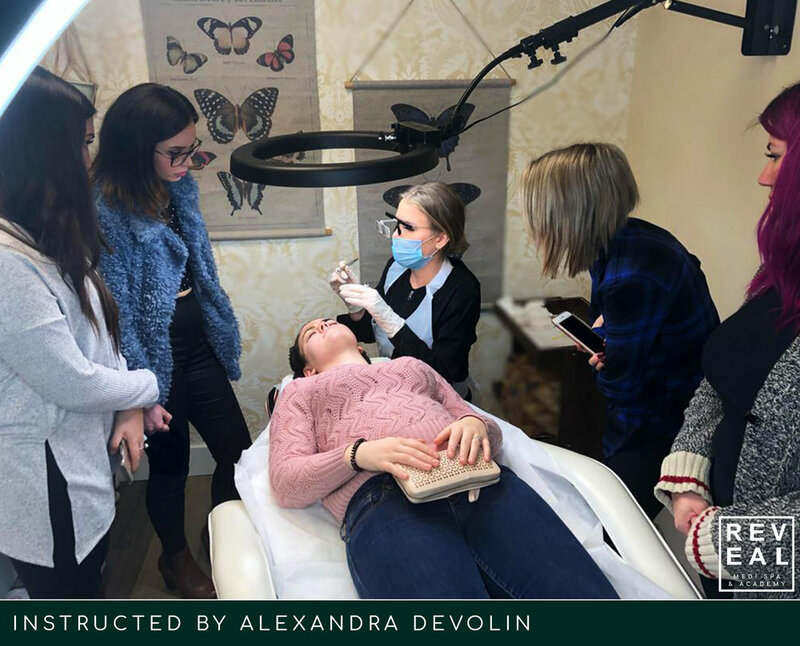 Student Microblading on live models, under the supervision of our Microblading Instructor Alexandra Devolin. How much could you earn with microblading? Start your new career! Contact us to reserve your spot!